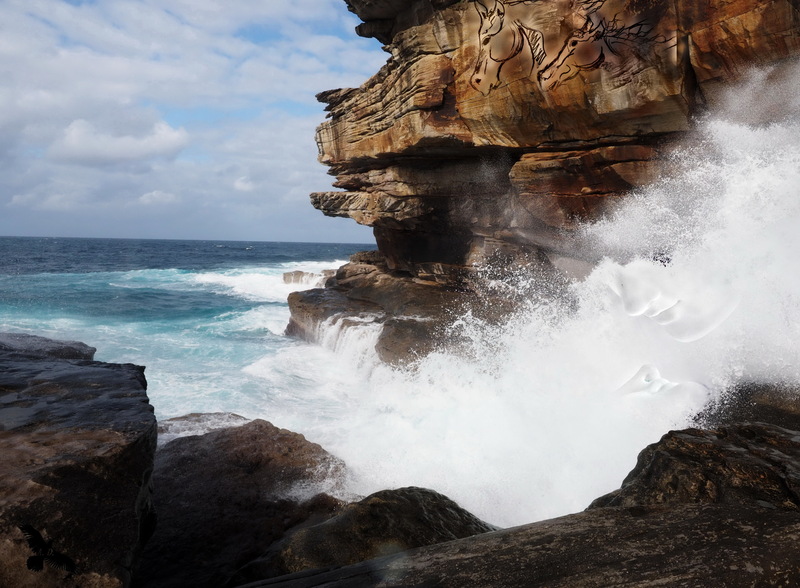 The power of surf against the rocks…it doesn’t get any better than that. A brilliant idea! The divine inspiration is with you! I love the sea and i have hundreds of pictures with the waves, smashing the shore, but i never have the idea, to materialized kiss between ground and water. I envy you! Kisses hides in the light when they are clever. They always do more good than damage even if they scare so many. Big roar and splash of waves, I can almost hear this image. Do you see the horses and the kiss? Do you hear their joy? Wow, I am embarrassed. It blended it so well, almost subliminal. I saw the horses first, blending. Then it must have taken at least a minute before I could see the rest. So it would in order waves splashing, rocks, horses, and finally the kiss! That is how my mind and eyes caught it.